For those of us who don’t know, online scheduling is a simple-to-use piece of software. Which allows clients can book appointments on your website. Online scheduling is like ordering something over the internet. Facts are, is that people are getting used to this way of doing things. Online scheduling for growing businesses has become more important as the internet has evolved. Having to rely on the phone to schedule appointments is, well, 20th century. Most clients today have gotten used to the level of convenience that the internet brings. It would be a waste of time, energy, and resources to disregard it. If everyone can order a pizza, a pair of sneakers, a laptop, or a bouquet of flowers over the internet, they should also be able to book an appointment in the same way. While this technology is not exactly new, there are still some persisting myths out there. They need to be addressed once and for all. For starters, some people are under the impression that with online scheduling, their clients will overbook or schedule with other people, resulting in chaos at the office. It is not true. The software is specifically designed, so these things will never happen. It also means that you will never encounter mix-ups or miscommunications, ever again. Some others will believe that with online scheduling, people will no longer call and they will lose sales. That’s not the case. If anything, most people are put off by the prospect of having to call, on the account that it’s a waste of time and energy. How Does Online Scheduling Improve Your Business? The first thing you will notice about an online scheduling system is that it is incredibly easy to set up. Nevertheless, don’t let yourself be fooled into thinking that this also translates to a lack of capabilities. 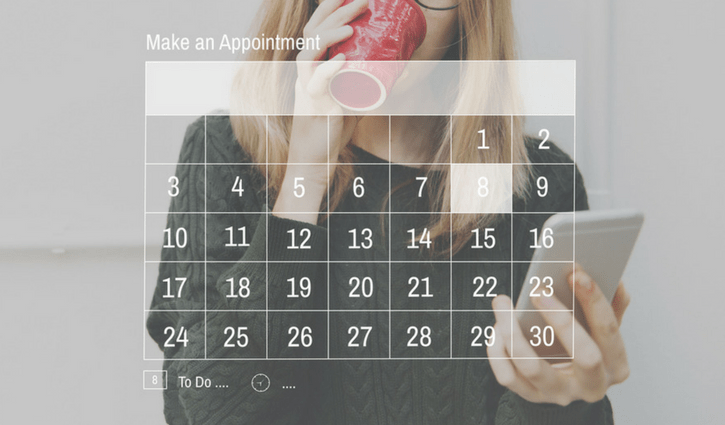 The best online schedulers come with a wide variety of features that will help you schedule more appointments and increase your revenue. The whole point behind one such software is to allow your clients to book appointments more comfortable and more often. In fact, with one such software, your clients can book at any time, day or night. What’s more, these systems have a built-in automatic reminder that alerts your clients about their appointment. We’ve all been it the situation that we’re so busy that we forget about any prior arrangements that we might have. It’s always great to receive a reminder now and then. If they have a conflict that prevents them from keeping their appointment, they can reschedule. Staff members can also manage their calendars so that your customers can view their availability. Then customers can book appointments with their preferred service provider. With this level of convenience provided, you are sure to keep your clients happy and satisfied. And the best part here is that happy customers are your number one source of new leads. Loyal customers also buy 90% more and spend 60% more than new clients. 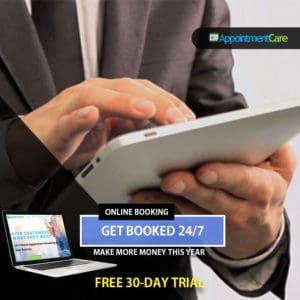 AppointmentCare is an easy-to-use, comprehensive online appointment scheduling software that offers these features and much more. Get started today with our 30-day free trial, or contact us for more information.